Where Did You Go For Open House 2016? M@ Where Did You Go For Open House 2016? 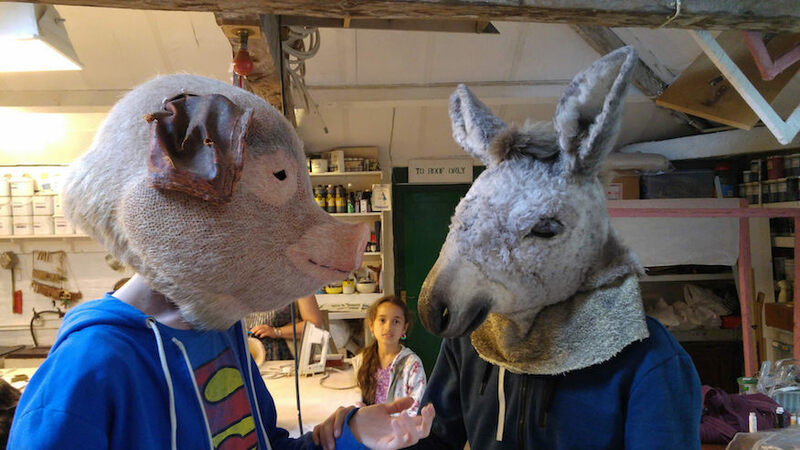 Trying on Beatrix Potter animal heads at Sands Film Studios, by Julie Ramsden. It's not very often that one can start the day in a sewage pumping station and finish in the Supreme Court. But that's the joy of Open House weekend, when hundreds of London's buildings open their doors to the public. Here, we round up some of the experiences possible from the 2016 event, which took place over the weekend of 17-18 September. Open House is always a joy for anyone interested in industrial heritage. Above is the changing skyline of King's Cross, as captured from the roof of the Victorian Waterpoint. This canalside water tank was designed by none other than Sir George Gilbert Scott, architect of the nearby frontage to St Pancras Station and the Albert Memorial. Another industrial gem — if that's not a contradiction in terms — is the Western Pumping Station, a Victorian sewage pump whose towering chimney stands proud along the Chelsea Embankment. 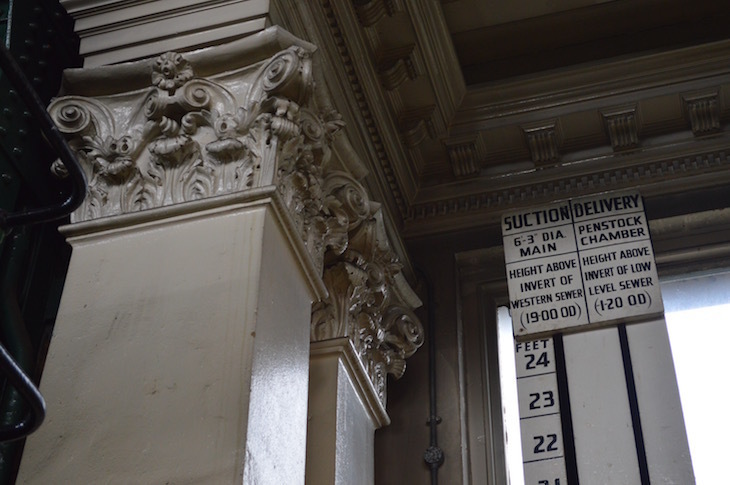 Photography was restricted inside, but we were able to snap this image of contrasts: a composite capital and classical cornice frame the practicalities of sewage pumping, such as this tide gauge. 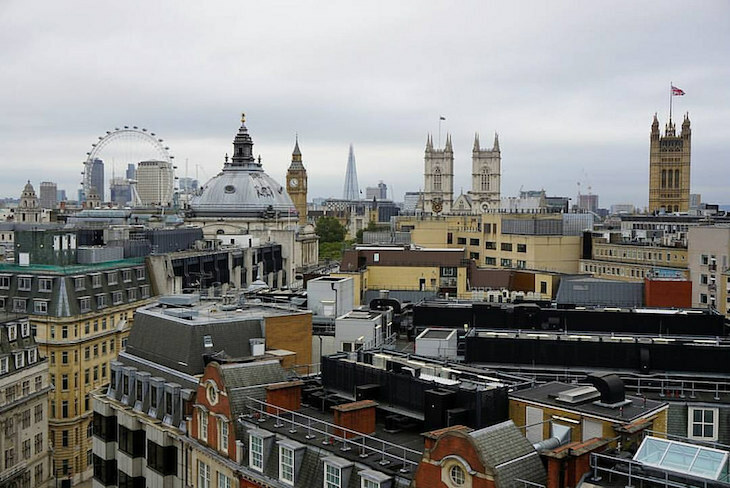 Open House weekend is also a chance to gain unusual views of the capital. The roof of 55 Broadway — headquarters of London Underground — affords this impressive outlook, in which the landmarks of the city appear in rhythm. One tip is to pay a visit to newly built office blocks — the queues are often short or non-existent, you learn much about the pressures of modern architecture, and you often get a nice view. Above is the outlook from the Zig Zag Building, a recently completed complex on Victoria Street. 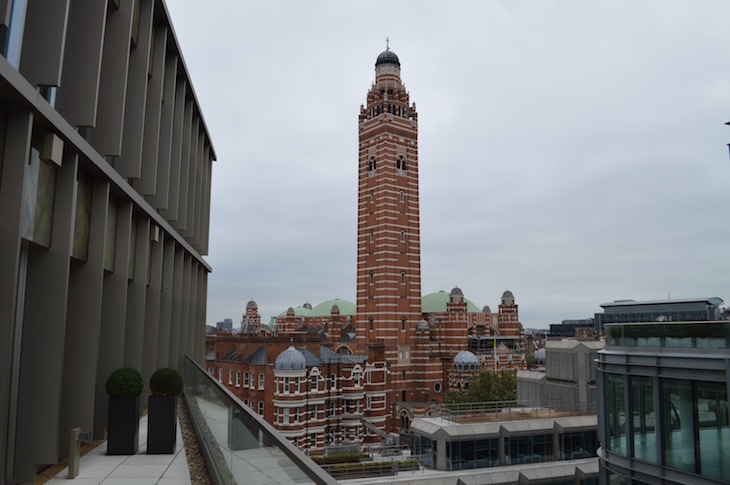 It offers charming views of Westminster Cathedral from the roof terrace. 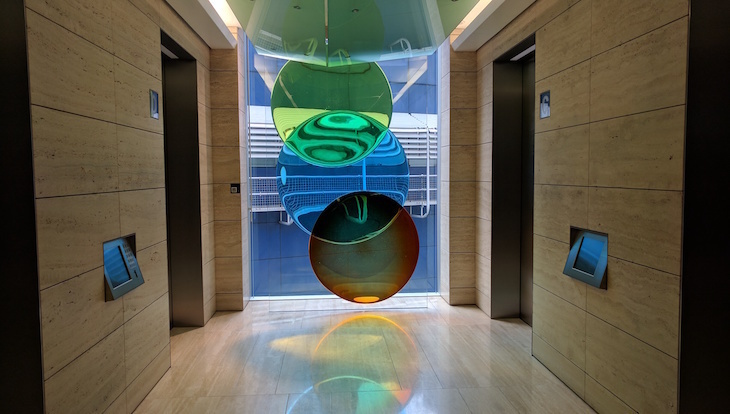 While most people visited Broadgate Tower for its views, the Shoreditch landmark also has a few interior flourishes of its own, as captured in the photo above. Unilever House is that grand, curving 1930s building on the northern end of Blackfriars Bridge. Its interior was remodelled (actually, rebuilt would be more accurate) in 2009. 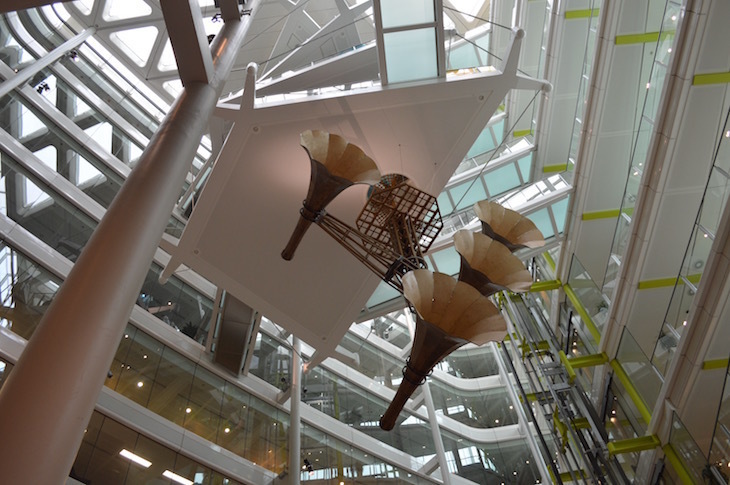 The atrium is stunning, set off by the 'space trumpet' sculpture by Conrad Shawcross. It slowly revolves over 60 days, offering a talking point for employees. 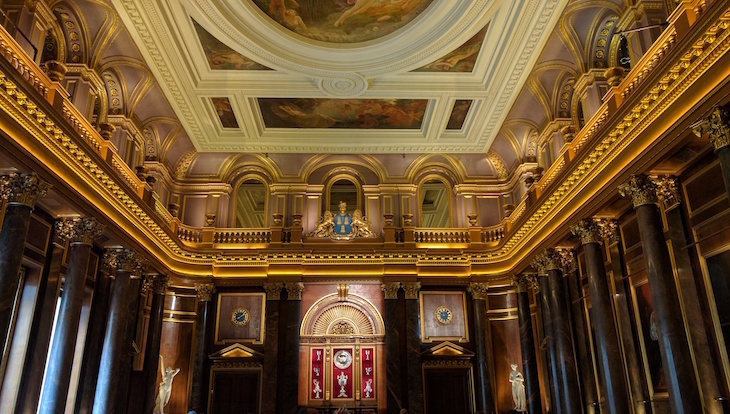 Another popular tactic for Open House is to concentrate on visiting the City's livery halls. These often-opulent venues carry much history, but are normally off limits to the public. 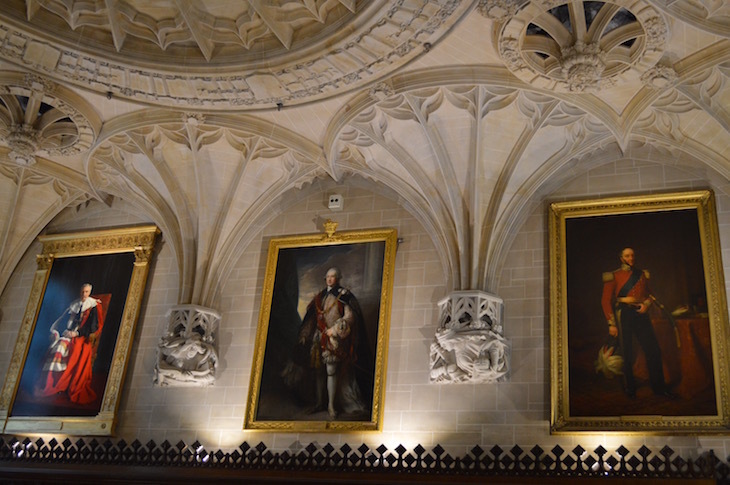 Above is the livery hall of the Drapers' Company, built on the site of Thomas Cromwell's townhouse, as featured in Wolf Hall. 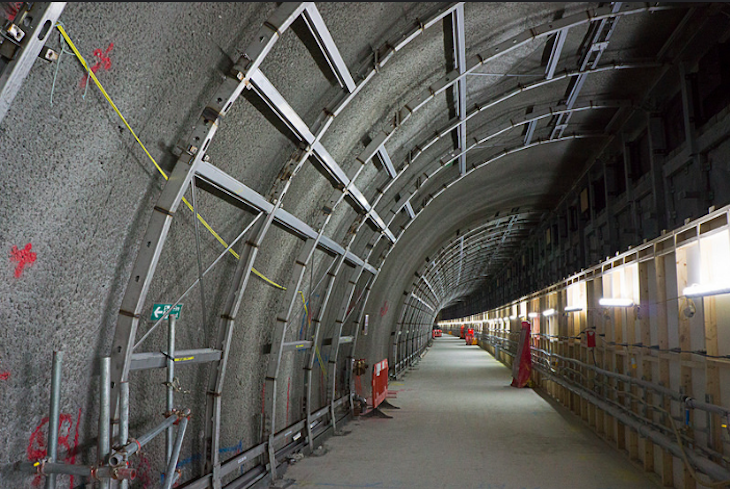 One of the highlights of this year's event was the chance to tour a number of Crossrail sites. Above is the scene at platform level at Tottenham Court Road. Most Crossrail stations will have box-shaped platforms, but here the walls curve like a tube station, to avoid the foundations of Centre Point. Open House isn't all about grand architecture. The event also offers the chance to visit many homes of unusual design. Above is one of the features from 15 and a half Consort Road in Peckham. 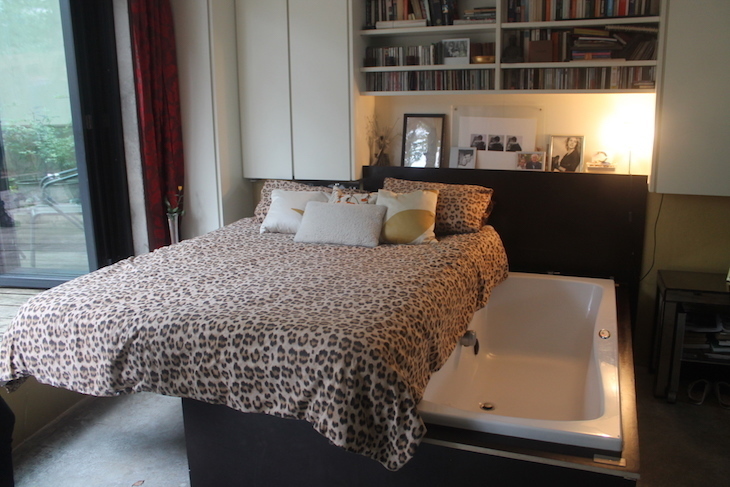 The double bed slides across to reveal a jacuzzi bathtub. How long before it turns up in a Bond film? The same house also boasts a retractable roof, allowing the living room to be bathed in sunlight... or snow. Our own peregrinations finished at the Supreme Court in Westminster. Unlike many of the venues in the Open House programme, this place is open to the public on any given weekday. It's worth popping in to watch a case unfold, or simply to use the lovely basement cafe. This is a building with many features of interest, from the grand portraiture of the library, to the bright carpets by Peter Blake. Read more: Ian Visits guides us round his trip to Bond Street Crossrail. Diamond Geezer tours Tottenham Court Road Crossrail, plus Here East (the former Olympic Media Centre) and Prescott Lock. Open House will return in September 2017.